The defunct Copper Bluff Mine near Hoopa. 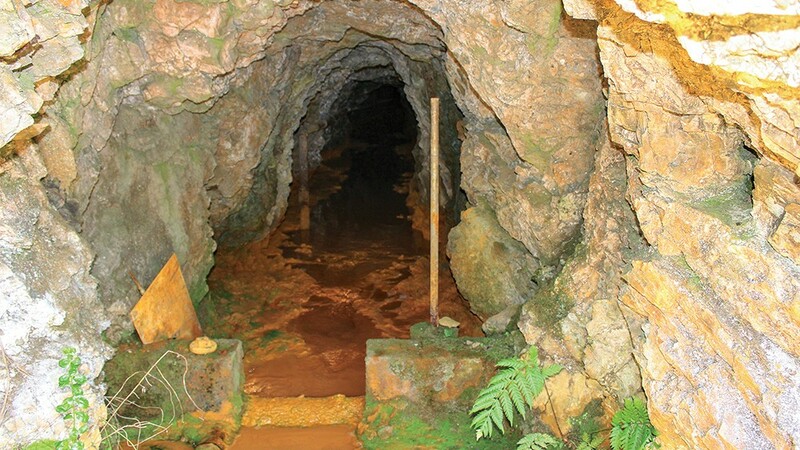 Yellow tinted water flows out of a mine shaft located below a small stretch of State Route 96, just outside of Hoopa. A metallic smell engulfs the mountainside as the water trickles into the Trinity River. 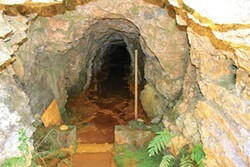 It's part of the discharge from the now defunct Copper Bluff Mine. According to a press release from the EPA, the mine — which operated from 1928 until it was shuttered in 1964 — is considered a hazardous waste site. It's one of six projects being considered by the EPA under new acting Administrator Andrew Wheeler. It's the only location in California that's up for possible designation on the EPA Superfund National Priorities List. Being on the list doesn't automatically mean it would get the Superfund designation — which would prioritize it for remediation and open up potential funding — but it means that the Copper Bluff Mine will be studied further. In a statement, Wheeler says adding sites to the list is carrying out one of the EPA's core responsibilities to the American people. "Cleaning up sites that pose risks to public health and the environment is a critical part of our mission and it provides significant health and economic benefits to communities across the country," Wheeler states. Ken Norton, a Hoopa Valley Tribal member and director of the Tribal Environmental Protection Agency, says that even though the mine closed more than 50 years ago, chemicals are still seeping into the largest tributary in the Klamath River Basin and have been for several decades. "The discharge that comes out of the mine entrance has been evaluated for concentrations of selenium, cadmium, mercury, arsenic and high levels of acidity," Norton says. "So you'll see this staining where this effluent had discharged over many years." The effluent slides down a nearly 200-foot embankment, impacting the soil, foliage and, according to Norton, eventually affecting fish — most notably salmon, lamprey and sturgeon. 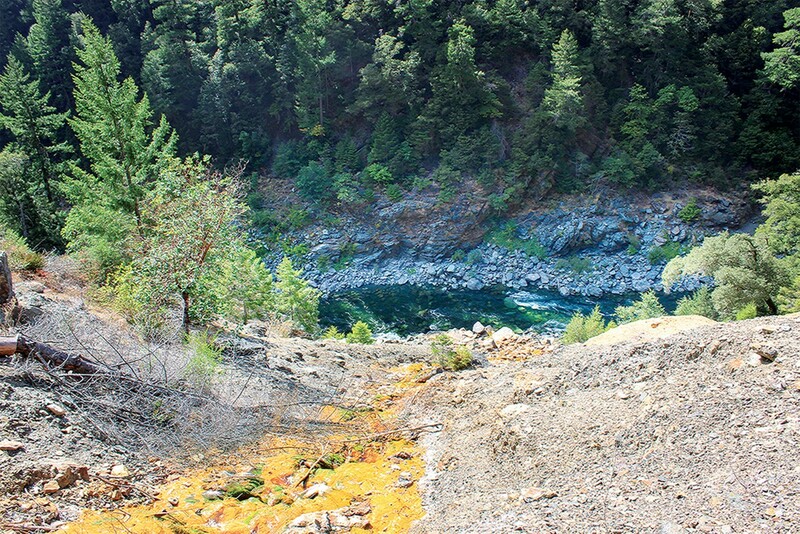 Previously, the Hoopa Valley Tribe worked with the U.S. Geological Survey to determine, record and assess possible damage associated with the mine's chemical runoff. They also discussed possible ways to get the site cleaned up. The most recent report by the USGS was published in 2003 by four researchers: Charles N. Alpers, Michael P. Hunerlach, Scott N. Hamlin and Robert A. Zierenberg. According to Alpers, the last sampling the USGS did with the Hoopa Valley Tribe came in 1996. Alpers says that, while two decades have passed, he expects the report is still relevant today. "In my experience, barring a large change like an earthquake or collapse, I'd be surprised if things were very different," he says. "My gut feeling is things are not very different than they were 20 years ago." Alpers notes that the concentration of the metals leaving the mine were high enough to affect habitats but that the impact on the Trinity River was typically minimal because of dilution. He also says the mine could pose a potential problem if it were to become plugged — either naturally or unnaturally. "If there was a blowout of a large volume of water all at once, then that could pose a risk, but steady dribbling of water is unlikely to cause a fish kill," Alpers says, adding that in some other mines that have been plugged, the water eventually comes out in another area. "When you build up the pressure in the hillside the water has to go somewhere. If it works well, you could maintain a higher level of the water table and there might be less interaction of the flowing groundwater with metal-bearing minerals in the mine, resulting in cleaner seepage. But there's always risks with plugging because of the unknowns of the hydrology." Alpers further explained that the mine is composed of metamorphic rock and the water flow is controlled by fractures and the open mine workings. While there are no guarantees the project will land on the Superfund National Priorities List, Norton is optimistic, largely because the mine could be cleaned up relatively quickly at a modest cost. The cleanup could likely be completed in just five years, Norton says, at an estimated cost between $500,000 and $1 million — something Norton says the Trump administration might consider pocket change compared to other projects that could cost billions. "This is a project that can be remediated without extensive amounts of resources: money," Norton says, adding that the tribe has partnered with the U.S. Geological Service since the 1980s to document significant impacts on the biota along the river banks. "[The EPA] could say we treated this many mine sites in Indian country; Hoopa is one of them. Here's our success story. And we would be happy with that." The EPA's priorities list includes projects considered the nation's most serious uncontrolled or abandoned hazardous waste sites. The list also serves as the basis for prioritizing EPA superfund clean-up funding and enforcement actions. The Copper Bluff Mine, used to collect copper, zinc, silver and gold over the course of more than three decades, continues to impact the Trinity River, which Norton says is the lifeblood of the Hoopa Valley Tribe. The chemicals, Norton says, impact culturally significant Hoopa Tribal ceremonies and also pollute the tributary and affect local fishermen who access the river daily. EPA Pacific Southwest Regional Administrator Mike Stoker says proposing the Hoopa site — as the EPA did Sept. 11 in one of its quarterly reports — is an important step toward erasing the mine's toxic legacy. "Though the Copper Bluff Mine closed decades ago, it is still affecting the Trinity River, the Hoopa Valley Tribe and the tribal fishery," Stoker says. Natalya Estrada is a local journalist living in Arcata. She's frequently found with a chai latte, mic recorder and a smart phone on hand.